The Line @ Tanjong Rhu is a twin tower Freehold 20-storey high rise condominium project in the popular district 15 near to the Tanjong Rhu MRT station and popular schools in Singapore. 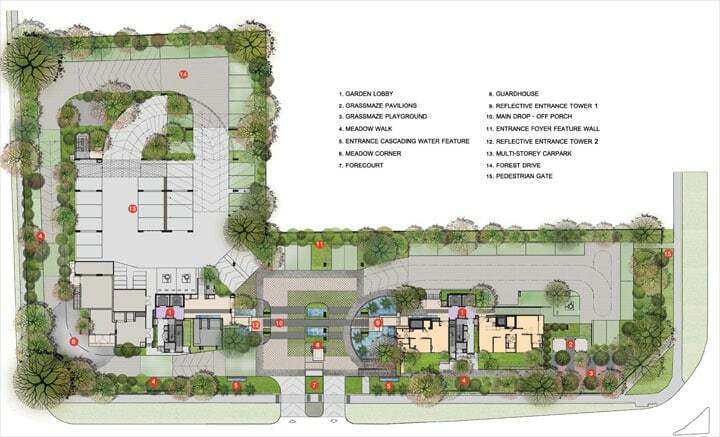 Every essence of prestige and luxury exudes when you own this limited supply and desirable address. 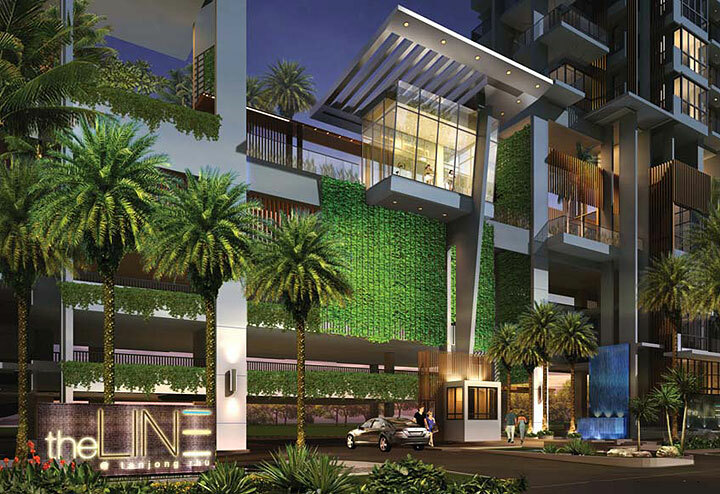 With superb amenities within close proximity, you lead a lifestyle that you yearn for. 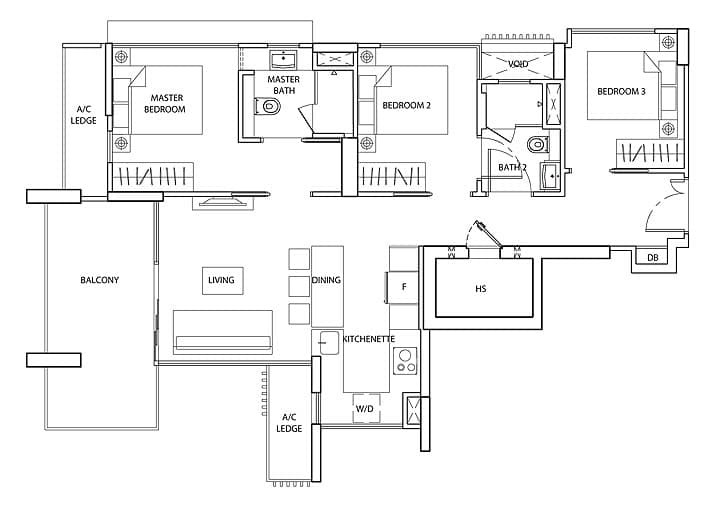 The Line Tanjong Rhu consists of residential unit mixes from 1 bedroom apartments to penthouse units, you will be spoilt for choice to select the right configuration cater for your requirement. You can immerse in the blend of activities like shopping, fine dining, clubbing or buy your groceries at the shops, eateries and supermarkets which can be found around the neighbourhood. The Singapore Sports Hub, nearby the condo, is a fully integrated sports, entertainment and lifestyle hub within the city incorporating premier land and water sports centre like a new 55,000 capacity National Stadium with retractable roof, a 3000-6000 capacity Indoor Aquatic Centre, a 3000 capacity Multi-purpose Indoor Arena, a Water Sports Centre, a 41000 sqm commercial space, a Sports Information and Resource Centre, 12000 capacity Indoor Stadium with Sports Promenade and Community Facilities. Kallang and Paya Lebar which are nearby to the condo, will be developed into new commercial hubs which are part of our government’s master plan over the next few years. It is near to the Marina Bay and the city centre which are the key commercial nodes in Singapore. Nearby is the award winning Gardens by the Bay with the iconic Supertrees designed to mimic nature. The upcoming Tanjong Rhu MRT station along the new Eastern Region Line is nearby too. 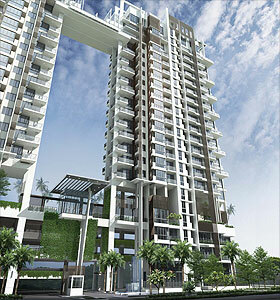 Unparalleled qualities and comfort are to be found within The line @ Tanjong Rhu. With a wide range of facilities within the condominium, you will achieve your fitness goals and enjoy the facilities to relax your body and mind in private serenity. When the city is just a short drive away and just minutes away from everywhere that matter, you will benefit from the good infrastructure and excellent prime location. Whether you are an investor or owner occupier, The Line @ Tanjong Rhu will provides the right residential new property address in Singapore for good return on investment and a lovely place to call Home. 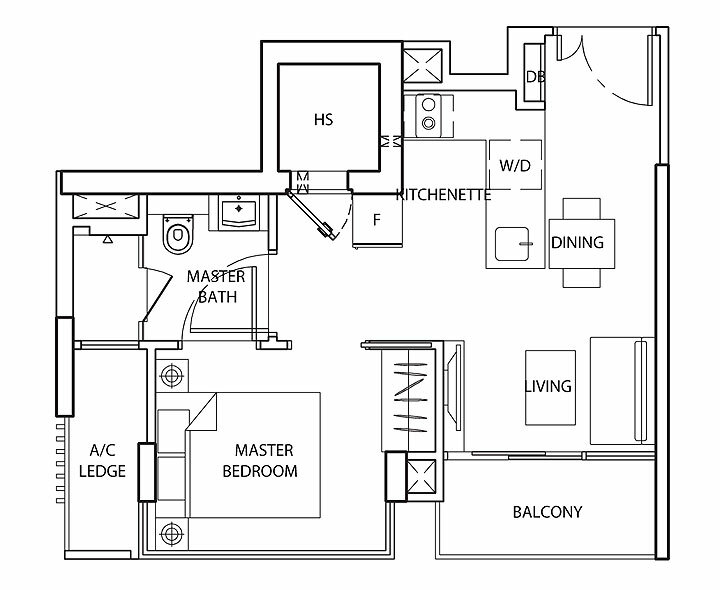 Special Developer’s VIP Discount prices for The Line at Tanjong Rhu available from us at attractive low quantum. Booking through us Now ! Call To Enjoy Developer’s VIP Discount & Best Units For The Line @ Tanjong Rhu. 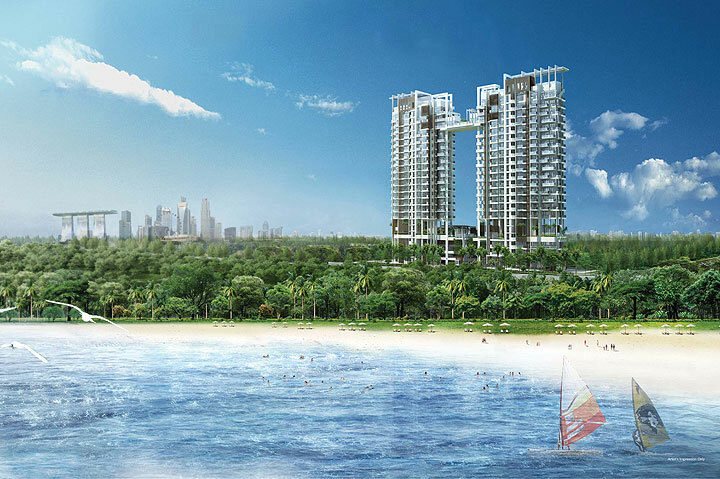 The artistic creativity of The Line @ Tanjong Rhu was powerfully inspired by the natural contextual lines across the sky, the green, the sea and the connectivity to the city. With close proximity to the East Coast Park seafront, this high rise paradise offers quiet seclusion nestled in lush tropical greenery with convenient links to the bustling city centre. 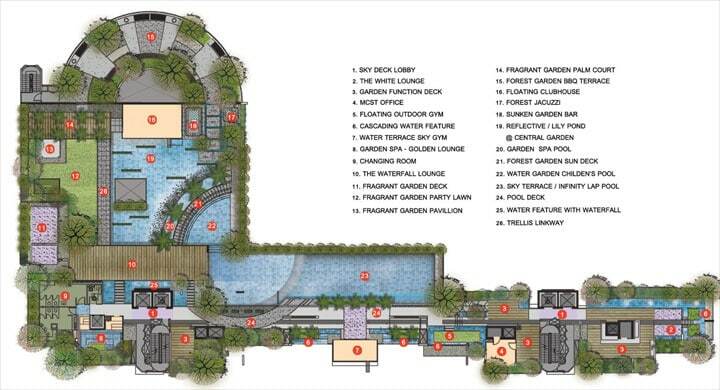 Achieve the perfect line of balance between work and play with beautiful landscaping that evoke visions of paradise. 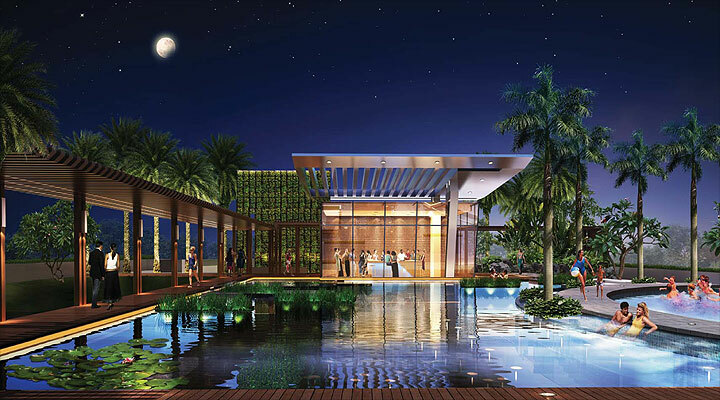 Enjoy the soothing ripples of water at a multitude of unique water features and waterscapes positioned around the development. The clean, crisp lines induce visions of Zen living where element conspire to provide one with tranquility and serenity in The Line Tanjong Rhu. Exquisite facilities allow you to de-stress and invigorate yourself. Relax by the pool side at The Line @ Tanjong Rhu Sky Terrace. 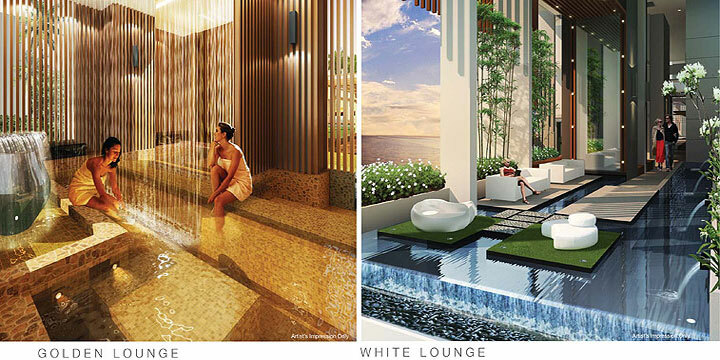 Soothing water features are thoughtfully planned and designed to ensure a serene experience. Rejuvenate and revitalise in the array of modern facilities such as the Sun Garden jets, Garden jacuzzis and the Golden Lounge. Your busy lifestyle takes on a new holistic dimension that synergise one’s mind, body and soul. With a myriad of breath-taking locations to socialise in The Line @ Tanjong Rhu, your parties will leave lasting impressions and unforgettable memories with your privileged guests. Choose between garden terraces and facilities such as the Waterfall Garden Bar, Poolside Garden Sunken Lounge, the White Lounge, the Sun Garden BBQ terrace, Clubhouse, Palm Court, Fragrant Garden Lawn and the Meadow Walk for occasions that create an impressive experience. Well located with the highly desired segment of the popular district 15. Retail shops, eateries & restaurants, groceries stores in close proximity. Good investment for rental : Sought after by tenants. Near to international schools. 1 to 2 bedrooms for singles, couples & executives, 3 & 4 bedrooms for families. Provided with contemporary, branded and stylish interior fixtures and fittings. Communal facilities provided for your enjoyment and entertainment. Invite your friends and associates for delightful outdoor dining. The Line @ Tanjong Rhu offers Good Capital Gain Prospect. 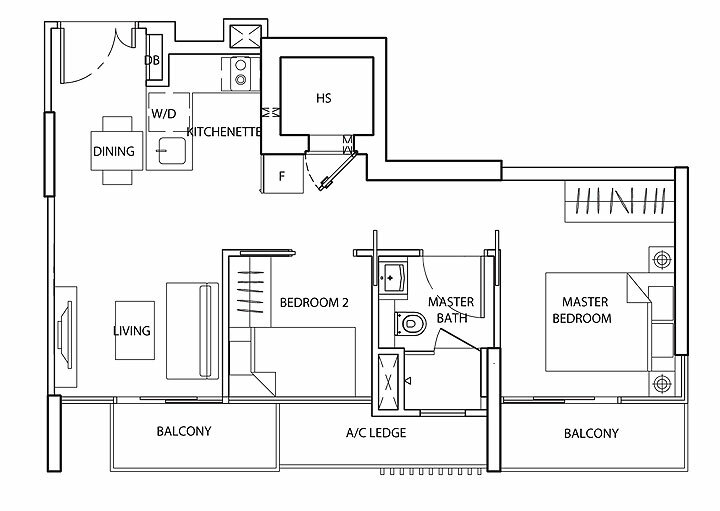 Tags: Condo in the East, Condo with seaview, The Line, The Line @ Tanjong Rhu.